First off, apologies to the subset of Exceptionally Virtuous Cranky Fitness Readers out there who don't give a crap about whatever new low-calorie sweeteners are on the horizon. Some of you are perfectly content keeping it simple and kickin' it old school with real sugar. You may be one of those level-headed moderation people. "Sure," you might say, "I have an occasional treat that has sugar in it, but I'd rather have a real brownie on a special occasion and really enjoy it! Doesn't that make more sense than settling for counterfeit replacements like you do, Crabby?" To which I reply: Harumph. Anyway, I think "occasional" is a word best reserved for solar eclipses and colonoscopies. Not tasty sweet desserts and beverages. And yes--I am a child. I want to eat sweets at every conceivable opportunity if I can get away with it. Nor am I all: "Who needs sugar? I just put molasses in my organic green tea or my homemade tempeh/flax cookies. I really don't need any other sweeteners at all, they all taste too sweet!" I'm sorry, but molasses is no more a sweetener than candy corn is a vegetable. When it comes to sweets, I want it all: frequency, quantity, and quality. On the other hand, I'd rather not eat too many things that are likely to kill me over time. And thus the dilemma. My current non-sugar sweetener rotation includes a little bit of splenda, quite a lot of stevia, some coconut sugar, erythritol, and monk fruit. But they all come with tradeoffs in terms of health effects, taste, digestive issues, cost, and cooking-friendliness. But there's a new kid in town, coming soon: Allulose, also known as Psicose or D-Psicose. It's not available directly to consumers yet, but the wheels are in motion. The FDA has declared it "Generally Recognized as Safe," and it is already being marketed to food manufacturers for use in their products. It has 90% or so fewer calories than sugar. So what's the deal? Could Allulose be the holy grail for 'cheaters' like Crabby McSlacker who want to have their cake and eat it too and then eat it again in a couple hours and keep eating it all day long? Do I Live in An Awesome Town or What? D-Psicose, the more sciencey name for allulose, is a form of sugar that actually occurs in nature. We already consume some in foods we eat like raisins, and some is present when we eat cooked sugar. According to a Newsweek write-up on the promising future of allulose it was discovered by Ken Izumori, a Japanese scientist who has apparently been toiling in obscurity since the sixties. His specialty is rare sugars "with nearly identical yet fundamentally different chemical structures, dozens of them, including some that taste just like table sugar but have almost zero calories." Problem was, there was only one plant known to produce allulose, and cooking it up in a lab was insanely costly. But guess what? Clever Ken found a way to make allulose on a larger scale "using a microbe he found in a garden." You turn those garden bugs loose on fructose, and voila! Cheap allulose. Ken is obviously not from the U.S. because the article says he is way more intrigued by the possible health benefits of these rare sugars than making bucket loads of money. He partnered with the Matsutani Chemical Industry Company to deal with commercial production of his version, Astraea allulose. Tate & Lyle, better known for Splendifying the world, has starting to market allulose to the food industry. They've dubbed their version, "Dolcia Prima." But it may be a different manufacturing process than Izumori's, and I don't know if any scrappy microbes from the garden are involved. (Honestly, I'm kinda rooting for the toiling-in-obscurity Japanese scientist guy to win this one, but whatever). I think there may be others too but I got bored with that part of the research. 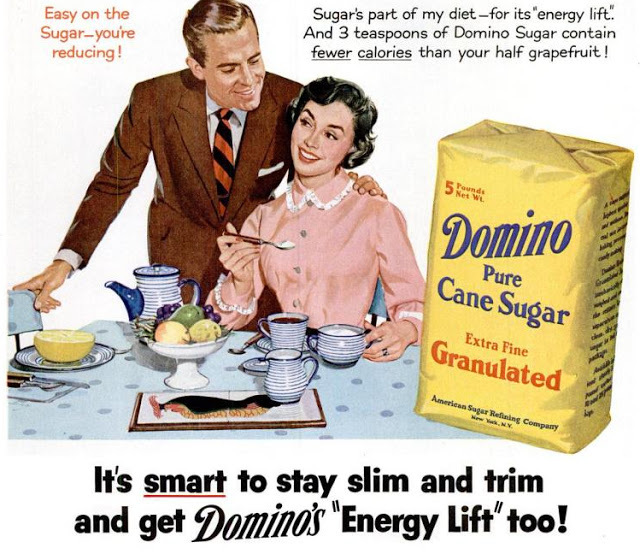 The blog Eating Clean takes a much dimmer view of allulose, at least the Tate & Lyle version. 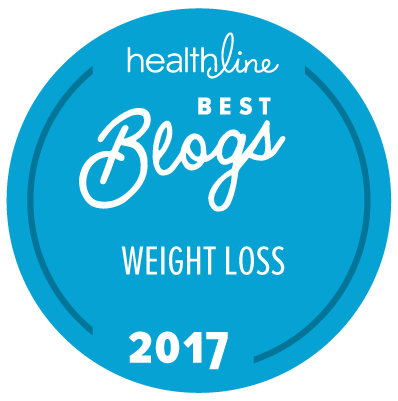 The IFT food science spokesgeek they quoted, Kantha Shelke, had a different take on the gut-friendliness of allulose, saying that more than a few tablespoons at a time could cause stomach distress. Also, the Tate & Lyle version uses non-GMO corn as a source which freaks some people out. I'm not sure what I think of that yet, it sounds bad, but I don't know if the quantities involved would be significant enough to worry about. I'm hoping a different version wins the race to the supermarket shelves. What do you guys think, would you consider trying out yet another fake sugar? Note: I stumbled on this information myself and have not been plied with any free samples or offers of sponsored endorsements. Yet. Allulose pimpers who may have googled in? Go ahead, ply away!! I don't have any health issues that prevent me from being able to eat real sugar, so that's the route I go - real sugar. I am just paranoid enough to not completely trust lab-created sweeteners. Shelley, sounds very sensible, and enjoy Candy Corn season! I think they're out in the candy cornfields harvesting for halloween as we speak! The major KNOWN problem with allulose is, due to the fact it's 70% as sweet as sucrose (regular sugar), you have to use more to get same level of sweetness. Now it's true it has less calories, so if that's all that mattered, great. But it's not the calories (alone) that make sugar the new tabacco, it's all the other things sugar does to your body besides just obesity. And now you're going to be getting even more of it. The other problems is, it's not naturally occurring/made in a lab, is going to be crazily expensive (10x the price of sugar) so will drive up the price of any product it is in, has big gastric distress issues (bigger than the sugar alcohols), and doesn't taste exactly like sugar. Thanks anonymous, some interesting things to ponder! The first article I read about the Japanese process said cost wasn't a big deal, and also said the GI issues weren't a problem. So I'm hoping that's the version that gets to market, but who knows. Hmm, the excreted in urine bit bothers me. Seems to me the big deal sugar alcohols do this, get in the water suppy, and mess it up good. I'd go look up and link proof of this, but I am lazy as hell. As for sugar, I love coconut sugar. I often use it along with white death and my personal fave, cane syrup. I agree. I have a hard time believing that something that goes through your system largely unprocessed is not going to cause ,err, gastric distress. I mean, isn't that essentially what lactose intolerance means? That something gets into your system, your system doesn't know what to do with it, your system throws it out as fast as it can? Anyway, I am in major denial about this whole sugar thing. I make sure I eat all sorts of good vegetables & proper proteins (at least, the ones I think are proper - get kind of tired of reading different opinions so often), and healthy fats - ok, and a few less healthy ones, then I eat sweet stuff and go ride or run a few extra miles. I expect I will stick with Ben & Jerry for the foreseeable future. Leah, where do you find cane syrup? I grew up with it, seeing it on every grocery shelf, and then (rather quickly) it became scarce, and then just disappeared. I find things labeled "syrup" that are part cane syrup, but mostly corn syrup. My coop has a variety of honeys and molasses on tap, but no real cane syrup. I can't make the recipes that call for cane syrup anymore; they don't taste the same, although some of them are good with sorghum. Since i'm a sugar addict in recovery, i stay away from things like this most of the time. It's easier that way, i don't end up having to fight cravings for stuff i know is bad for me. I had a hard time reading past the hunkery. And I am not normally visually distracted like that. Was it the cracker jack boxes? I don't know. Now see. I was so distracted by the hunkery I missed that there is such a thing as a Calorie Control Council. This post is a wealth of information. :) LOL. Can you imagine being employed by said Council and then casually mentioning your job at parties? "nearly identical yet fundamentally different chemical structures" kinda makes my brain hurt. I hope this promising research works out for the public and not just the food manufacturers. Like DRG, I'm not interested in reducing the amount of sugar I eat. I eat plenty of protein and vegetables and whole grains, and the percentage of sugary things in my diet is probably low in volume, though higher in calorie percentage. Psst - I hope you meant it is being made with GMO corn and that has you concerned. Non-GMO is the good old fashioned stuff. Nah.. I wouldn't trust it until it's been on the market forever.. and even then, probably not. I had so many issues which I eventually figured out were attributed to aspartame, I just have no interest in trying anything new... and that's deemed "generally recognized as safe" ... until it's not. I wouldn't mind a few boxes of those Cracker Jacks! My protein powder is sweetened with stevia and that makes me happy. I had an unfortunate incident with fudge that had been sweetened with maltitol. I thought I was giving birth again…since then, I try to avoid sugar substitutes. Just returned from the ashram and there was a celebration of the Divine Mother…for eight nights I was "forced" to eat blessed food (cake, cookies, doughnuts etc.) at 10 p.m…filled with the white devil himself…but luckily for me, no gastrointestinal issues from the real thing. I will continue with stevia and occasional white devil indulgences…but I look forward to you experimenting with this new sweetener. Looks like my comment was lost. I tried the allsweet brand of allulose and it caused major gastric distress issues. At one point, I was running a fever, had bad diarrhea, urinating to frequently (I guess because the body doesn't metabolize this substance) nausea, and slight headaches. Maybe I'm just allergic to it, but maybe it's just the body doesn't have any enzymes to digest this stuff and it causes gi issues because of that. I have been working with and experimenting with allulose for a few years now-- I put it in everything and it tastes great- -and I have no side effects- -and I am a person who normally has side effects from sugar alcohol, resistant starch and prebiotic fibers. Anyone who has side effects from allulose must be eating a ridiculous amount. It has never bothered me at all.